Fresh sliced strawberries make a great topping for a lot of foods: yogurt, oatmeal, and ice cream, to name a few. But have you ever tried kicking it up a notch and roasting those cute little berries? It’s super easy to do and takes almost no time at all, and the strawberries get melt-in-your-mouth soft and ooze a yummy strawberry liquid. Their flavor becomes more intense and they are SO good! When I first made this recipe, I didn’t sweeten the strawberries at all. Since I first made the recipe (many, many times! ), I’ve started adding a few drops of liquid stevia after they’ve cooled off a bit. What a difference! They tasted great before, but now they are CRAZY good. Silicone baking mats are my baking BFF — they make clean-up a breeze. 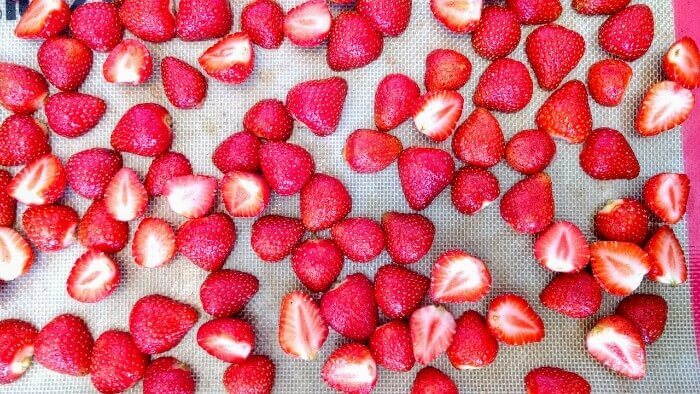 They’re perfect for making Vanilla Roasted Strawberries! How Many Carbs are in Vanilla Roasted Strawberries? 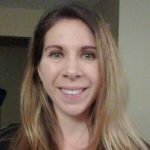 If you’re on the keto diet (or another low carb diet), you may be surprised to know that YES, you can have fruit! You can’t plow through a pound of strawberries at a time, but a small amount is totally okay. A serving of Vanilla Roasted Strawberries contains only 3g net carbs, making them a keto-friendly snack. Enjoy! There are about 200 seeds on every strawberry. 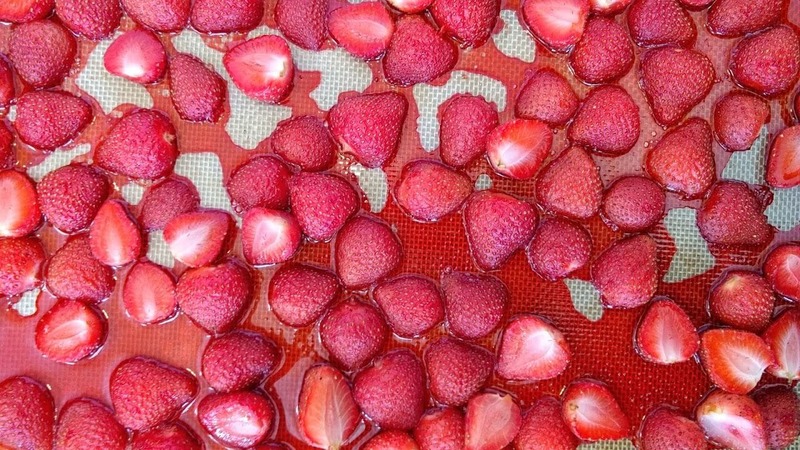 California produces an insane amount of strawberries every year: about two billion. February 27 is National Strawberry Day. Roasting strawberries is also a great way to use that oh-crap-I-forgot-I-bought-strawberries container of strawberries you find hiding in the back of the fridge. The roasting process will hide any of their imperfections and bring out their best flavor. A lot of people add sugar to their roasted strawberries, but I don’t think it’s necessary. It’s better to let their natural flavor shine through. Instead, a little vanilla extract gives them something special. Love Strawberries? Check out These Recipes! 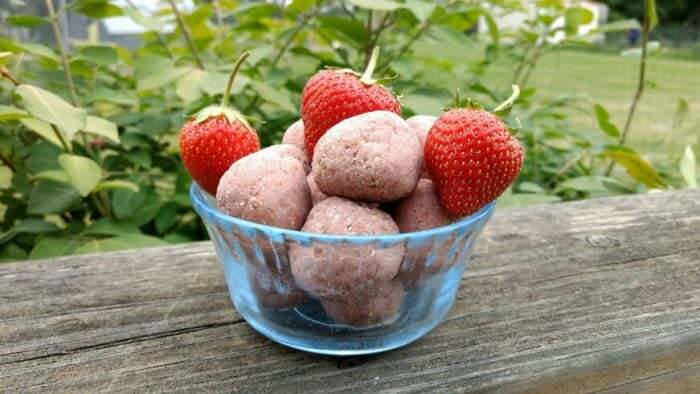 If you’re on the keto diet, you’ll LOVE my Strawberry Shortcake Fat Bombs recipe. If you’re not on the keto diet, you’ll love my Strawberry Shortcakes Energy Bites recipe. 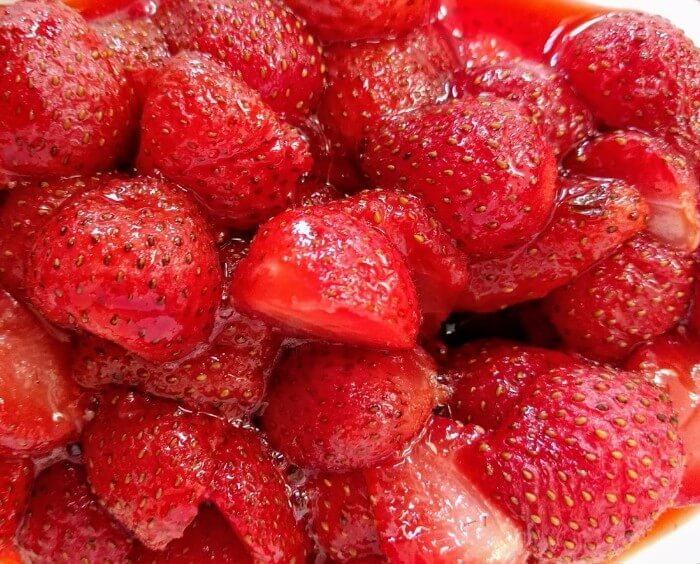 Slice strawberries into a bowl. Toss with vanilla extract until fully coated. Place on a single layer on a cookie sheet, preferably one that has been covered with a silicone baking mat. Bake at 375 degrees for ten minutes. 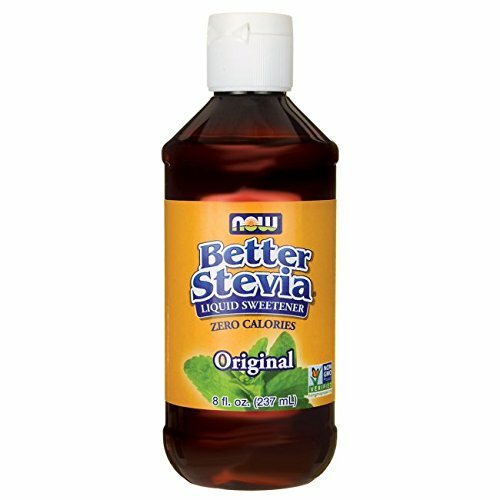 Let cool for a few minutes, then add a few drops of liquid stevia to taste. Best served within a few hours. Tastes great chilled! 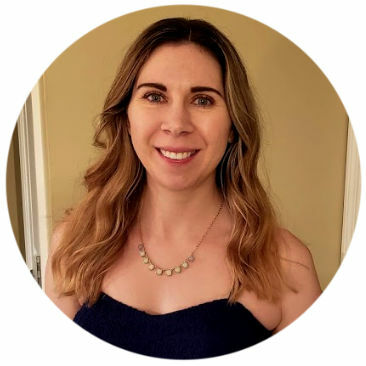 My Perfect Keto Bars Review: Are They Worth It? Hi Tessa! The recipe makes eight servings. Hi KK! This recipe will give you eight servings. Pre-roasting, there are about 3 1/2 cups of strawberries per pound. After they’re roasted, it ends up being about 1/3 cup per serving. Enjoy!